One of the Xero Accounting Firm was struggling to manage bookkeeping for a E Commerce Company. 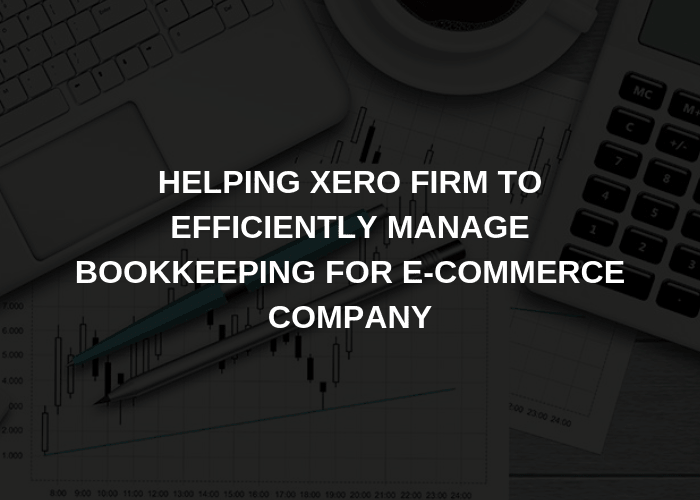 One of the Xero Accounting Firm was struggling to manage book keeping for a E Commerce Company. The Company was using its own platforms over and above Amazon and E Bay. Further, the company had around 4 of its own different platforms to sale goods. The company use to import goods from various countries. Due to this, more than 10 months of accounting backlog has been cleared and the Accounting Firms were able to submit Management Accounts to the clients.